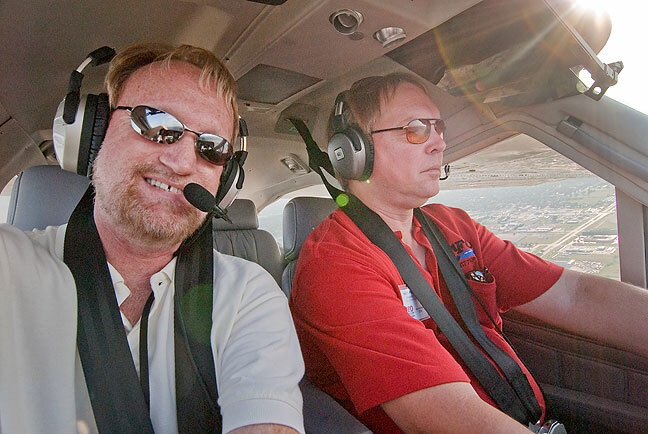 Between making images of the Cardinal Flyers Association Fly-in and talking about flying, I managed to squeeze off a selfie of me flying with Cardinal Flyers Association President Keith Peterson. Compared to the junk in which I learned to fly, Keith’s Cessna Cardinal is the Taj Mahal of single-engine aircraft. As I covered an Ada softball game at their field next to the Ada Municipal Airport, I couldn’t help but notice a larger number of Cessna Cardinals in the landing pattern, and an even larger number parked on the grass near the airport’s signature business, GAMI/Tornado Alley Turbo. 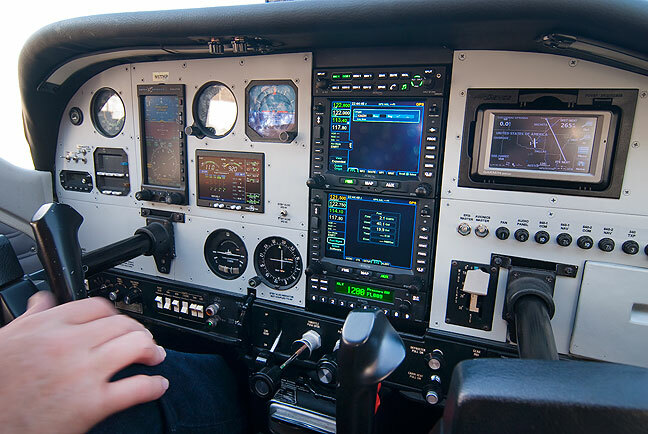 I surmised we were having a fly-in of some kind, and as my readers know, I am a pilot, and powerfully attracted to anything related to aviation. When I finished working my softball game, I drove next door and found long-time friend and fellow pilot Tim Roehl, who was organizing the event. After I made a few feature photos of pilots and planes, Tim hooked me up with Cardinal Flyers Association President Keith Peterson, who took me around the patch for some images of the fly-in, and to talk about flying. It was fun, and, as always, great to be in my sky again. 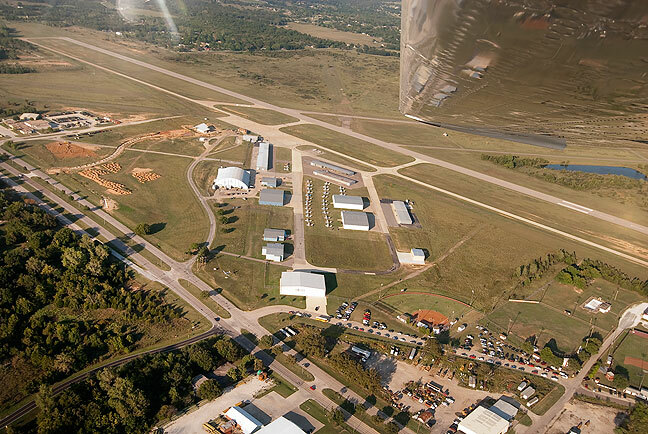 This image shows the Ada Municipal Airport and, near the bottom of the frame, the Ada Lady Cougars softball field where I’d been working just 30 minutes earlier. You have the best job in the world. Let’s see some more please.